How To Download a Video From Facebook To Your Android Device? 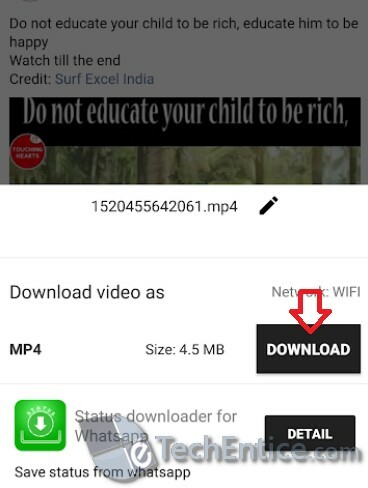 Home > Android > How To Download Videos From Facebook To Your Android Device? 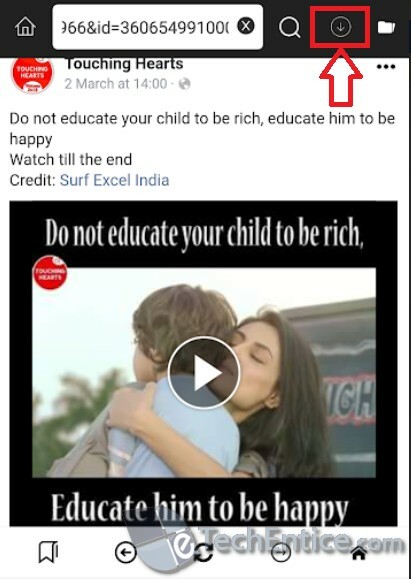 We find beautiful videos on Facebook shared by popular Facebook pages and users. The videos are sometimes so inspiring or beautiful, that we want to keep them in our possession. 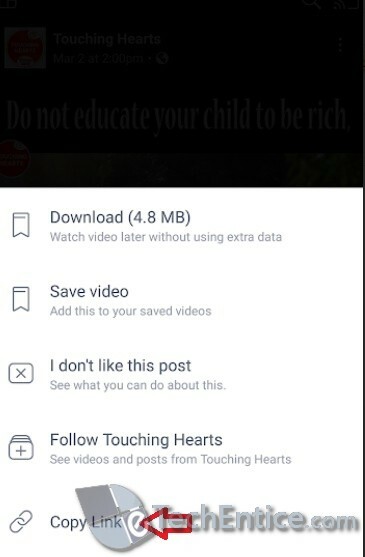 But Facebook Android app does not allow you to download videos to your devices. It allows you to download the video or save the video to your Facebook account. This implies that you can view them on Facebook even when there is no internet. But it does not allow you to share the videos over WhatsApp or any other social networking media. Previously, Facebook opened from Chrome browser allowed a user to download the video. This has been stopped now. 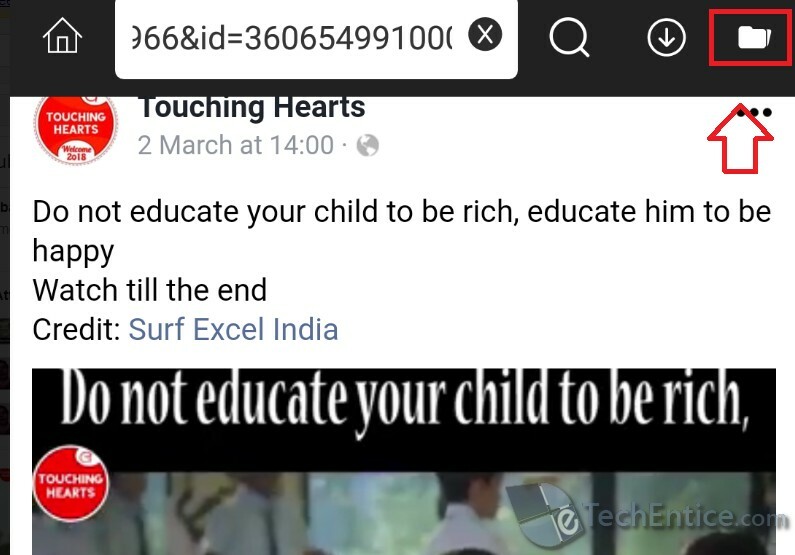 So, what is the way by which you can download videos from Facebook? It is definitely a third party application. 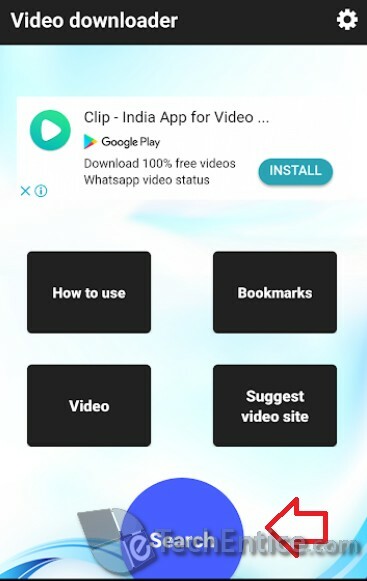 There are plenty of such applications on Play Store. You can search them on Google and install them after reviewing their rating and feedbacks. We have chosen one good app for downloading Facebook videos. Check it out. 1. First of all download this App from Play Store called Video Downloader- Private downloader. You can use any application. 2. Go To your Facebook app or open Facebook from Chrome. Copy the video link that you want to download. 3. Open the app. You will find a “How To Use” option where you can check the guidelines. Otherwise, straightaway tap on “Search” menu. 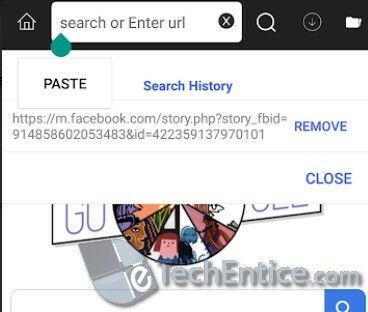 In the address bar, paste the link (long press and then select paste). For Facebook videos, you may have to login to your account. 4. Play the video. Now click or tap on the download button (downward arrow) located at the top right corner of the screen. 5. The mp4 file size appears at the bottom of the screen. Tap on the Download option. The download is completed in a jiffy. 6. Now tap on the file icon. It opens the list of the downloaded videos. The Facebook video will be available in your gallery.